Fine Basso-Profundo Opera Singer Andrew Harris - Alpha Artists Management, LLC. Andrew Harris’s fine basso-profundo qualities continue to impress audiences in both Europe and America. Approaching his seventh-season with Deutsche Oper Berlin, he continues to add both standard and contemporary roles throughout the bass repertoire. Recent and upcoming: Assignments have included; Fafner (Das Rheingold), Roger Mortimer (Edward II), Titurel (Parsifal), Don Basillio, (Il barbiere di Siviglia), Tom (Un ballo in maschera), Masetto (Don Giovanni), Sarastro (Die Zauberflöte), Marcel (Les Huguenots) and Diégo (Vasco da Gama). He returned to Opera North to sing Osmin (Die Entfürhrung aus dem Serail) and made his Bayerische Staatsoper debut as Plutone in Monetverdi's L'Orfeo during their summer festival. Mr. Harris made his Den Norske Opera debut in the 2015-16 season in the duel roles of Tempo and Nettuno in Il ritorno d'Ulisse in partria, a role he reprises with the Innsbrucker Festwochen der Alten Musik in 2017. In the spring of 2018 Andrew Harris was The Sodbuster in Missy Mazzoli's world-première of Proving Up with Opera Omaha along with a reprise in New York City in the fall of 2018. Mr. Harris made his Santa Fe Opera debut in 2018 as Edward Teller in Doctor Atomic. Future roles with Deutsche Oper Berlin include, Fasolt (Das Rheingold), Steffano Colonna (Rienzi), Timur (Turandot) and Doktor (Wozzeck). 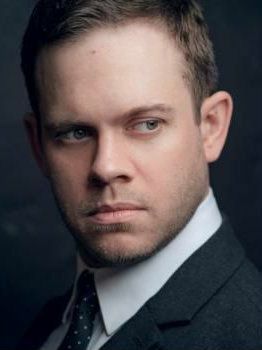 In past seasons he reprised the role of Basilio in Il barbiere di Siviglia with Opera Theater of the Rockies and returned to Central City Opera to sing the role of Simone in Gianni Schicchi; and added the roles of Angelotti in Tosca and Commendatore in Don Giovanni with Lyric Opera Kansas City. Engaged for a second season, Mr. Harris covered the roles of Grampa George and Mr. Beauregard with the Opera Theatre of Saint Louis production of The Golden Ticket a.k.a. "Charlie and the Chocolate Factory" and returned to Opera North for his role debut with the company as Colline in La bohème. Mr. Harris completed the Young Artist Program with Chicago Opera Theater and Artist Diploma at Roosevelt University where he was mentored by bass, Samuel Ramey. He participated as a semi-finalist in the Neue Stimmen competition in Germany and won first-prize in a major grant from the Union League of Chicago. He apprenticed with The Santa Fe Opera and worked at the Deutsche Oper Berlin as a recipient of the Opera Foundation Inc. Scholarship performing supporting roles throughout his two-year contract. Mr. Harris won the Central Regional Metropolitan Opera National Council Auditions advancing him to the National Semi-Finals on the stage of the Metropolitan Opera. He he impressed audiences at Opera North in a triumphant portrayal of Don Basilio in Il barbiere di Siviglia earlier that year he was invited to the Gerdine Young Artist program at Opera Theatre of Saint Louis where he sang the role of the 5th Jew in Salome and covered the role of Pasha in The Ghosts of Versailles. Previous roles include; Achilla (Giulio Cesare), Alcindoro/Benoit (La bohème), Ralph Waldo Emerson in the world premiere of John Brown, Marchese d’Obigny (La traviata)—all with Lyric Opera Kansas City; The Bartender (The Saint of Bleeker Street) and Dr. Grenvil (La traviata) with Central City. Other roles in his repertoire include Don Alfonso (Così fan tutte), Micha in (The Bartered Bride); Figaro (Le nozze di Figaro) and Le Fauteuil/Un Arbre (L’enfant et les Sortilèges). "The Sod­buster, sung with riv­et­ing au­thor­ity by An­drew Har­ris, oc­ca­sionally segues from his low­est bass reg­is­ter into falsetto and back again; his ap­pear­ance is ac­com­pa­nied by creepy har­mon­ica lines, played by the dead daugh­ters as well as in­stru­mental­ists." " Amongst the other singers, foremost mention goes to Andrew Harris as the Lord of the Underworld. With his metallic, droning bass and his awkward gestures, he gave us a terrifying, abhorrent Pluto."